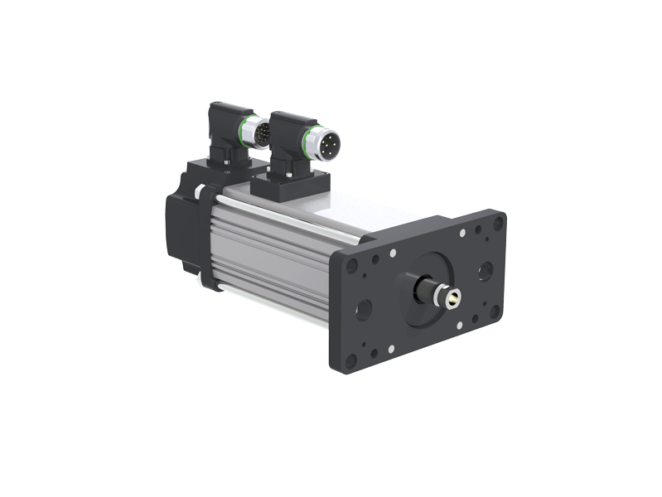 Universal linear actuator with roller screw spindle and servo motor on-top. 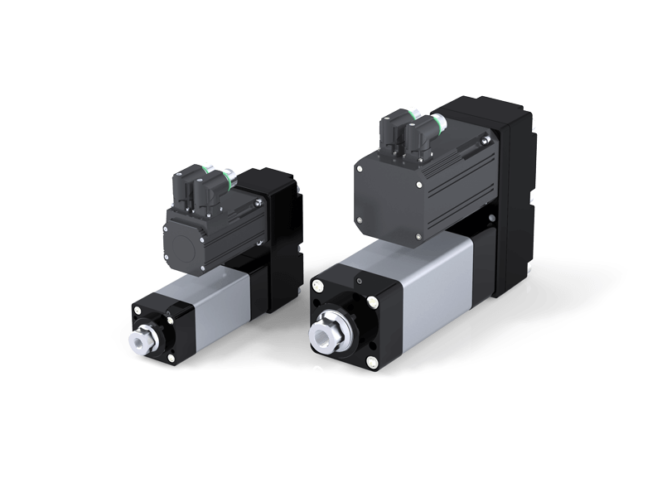 In comparison to ball screw spindles (BSS) the roller screw spindle has a lot more contact points. Thus, considerably higher loads can be transmitted with greater rigidity. In the inverted construction, the spindle nut rotates instead of the spindle. 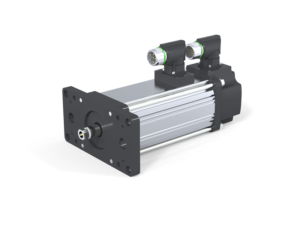 In the integrated linear drive LIM / LIX this rotational movement is initiated by the rotor of the servo motor. Spindle must be secured against rotation!